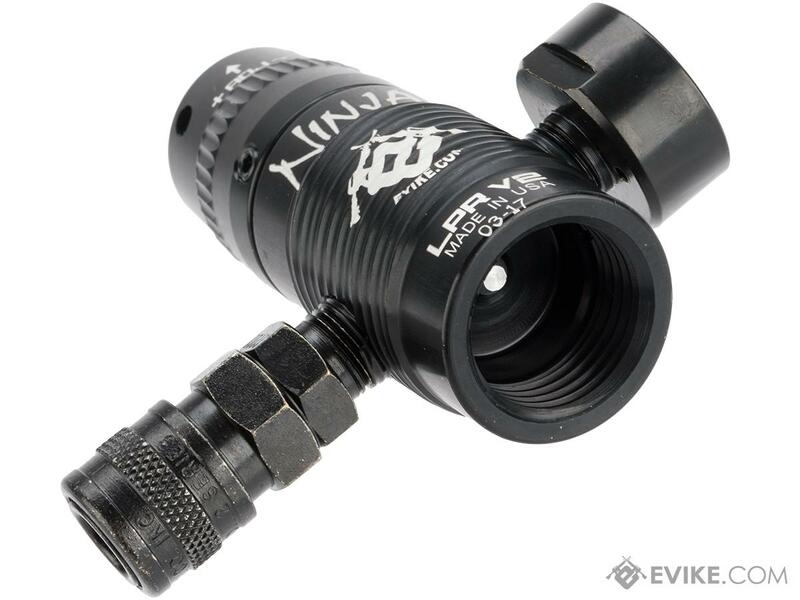 Ninja has designed and manufactured HPA products for almost 20 years. 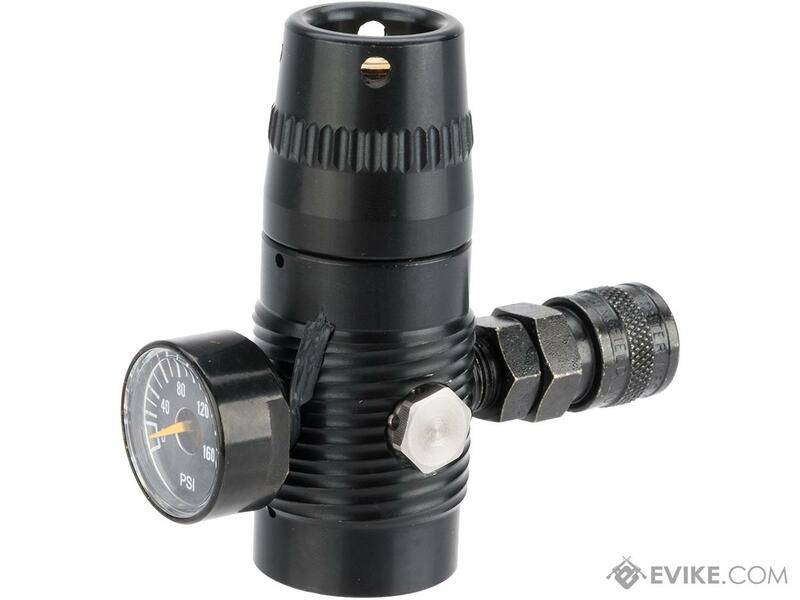 Ninja holds 12 patents in addition to manufacturing various regulators, fill stations, hose assemblies, and many other HPA products for various industries. Ninja is an active and contributing member of the ASTM Safety Committee and all Ninja products are proudly manufactured in the USA.ave. 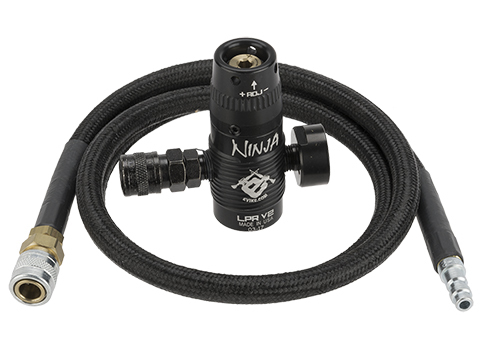 "My setup is a ninja 68/4500 tank with a ninja pro reg up on top set to 400 psi. Maximum input pressure according to the manual that comes with it is 500 psi. Running this rig for my P* MK46. Regulator does what its supposed to. I haven't had any problems whatsoever with this. It does need to break in so expect a slight spike in pressure in the beginning. Super easy to adjust. 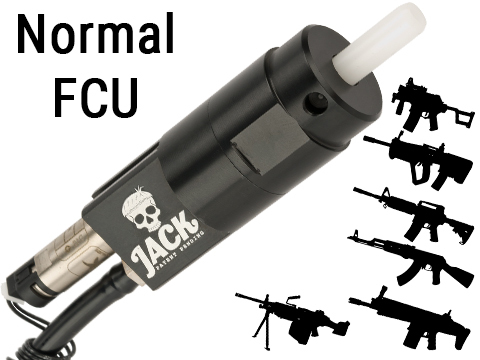 Slim design when compared to the AMPd airsoft rig. 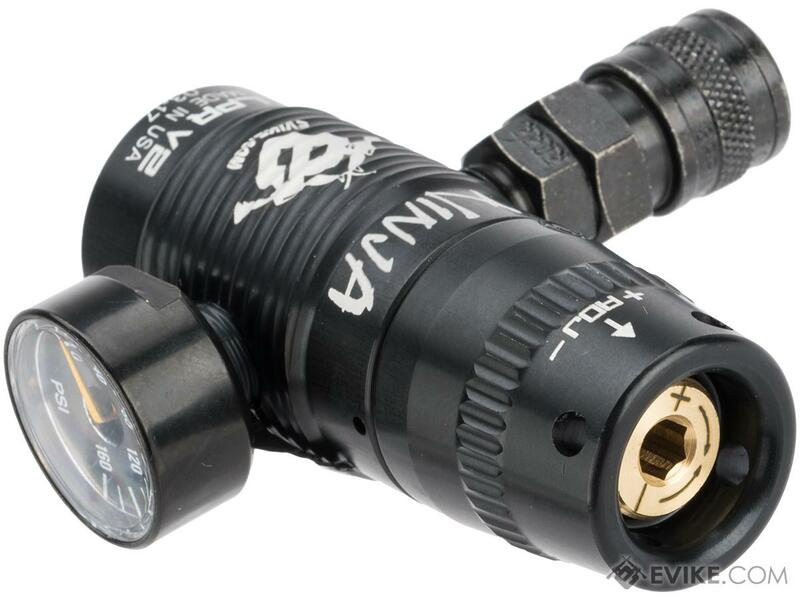 All in all this regulator is perfect! 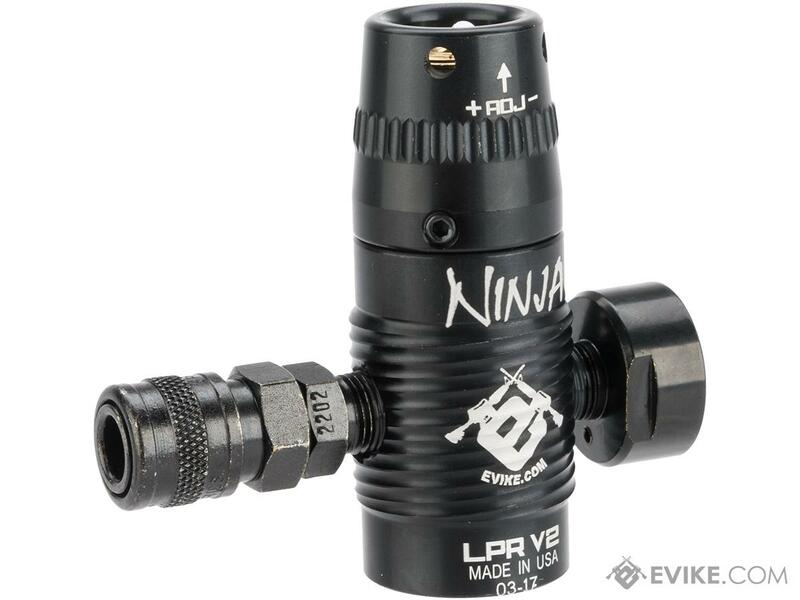 Discuss about Ninja LPR V2 Regulator for PolarStar Fusion Engines / HPA Systems with your friends and fellow Evike.com shoppers!